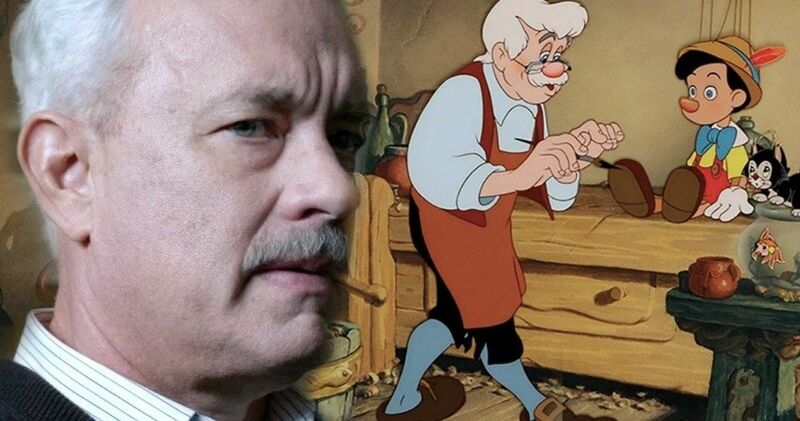 Tom Hanks is in early talks to portray Geppetto in Disney’s upcoming live-action adaptation of Pinocchio. Paddington director Paul King is on board to helm the next live-action Disney adaptation from a script written by Jack Thorne. It’s believed that the remake will be the next to begin production in late May, which is a few months before The Lion King live-action remake hits theaters. The first trailer for Jon Favreau’s take on the 1994 classic was released last week and broke YouTube’s record for most views in 24 hours. As of this writing, it has 48.6 million views. Tom Hanks recently wrapped production on the untitled Mister Rogers movie and will begin work on the sci-fi project Bios in February. If all goes according to plan, Hanks will then join the production for the live-action Pinocchio remake at the end of May. It’s unclear how much of the remake will be live-action and CGI at this point, but The Lion King, which is mostly CGI, is getting some flak for being called a live-action remake. With that being said, the movie was shot like a traditional film, on a set with actors who were able to wear a VR headset to see the CGI world. Disney’s live-action Pinocchio remake isn’t the only project with the character being planned. Guillermo del Toro is preparing to write and direct a stop-motion musical based on the Pinocchio story by Carlo Collodi for Netflix. Del Toro has wanted to make his version for years, and it will undoubtedly be completely different experience than what Disney is currently cooking up. This isn’t the only time that this has happened. Andy Serkis’ take on The Jungle Book, Mowgli, is hitting Netflix as well after Disney’s live-action version hit theaters a few years ago. Disney’s original Pinocchio was released in 1940, and told the story of a living puppet, who has to prove himself worthy to get transformed into a real boy. Geppetto crafts the puppet out of wood and later wishes upon a star for his creation to come to life. The story is pretty dark and takes the puppet through a variety of struggles from being kidnapped, turned into a donkey, and then later in the belly of a whale. Tom Hanks would make for a pretty good Geppetto, so let’s hope that everything pans out. For now, Tom Hanks has another Disney•Pixar project coming to theaters this summer. The actor voiced Sheriff Woody for the fourth time for Toy Story 4, which hits theaters on June 21st, 2019. While some fans believe that the franchise should have wrapped with the third installment, Hanks believes that the new movie is “historic,” and notes that it’s really emotional. Tim Allen, who voices Buzz Lightyear, echoed Hanks’ statement. As for the live-action remake of Pinocchio, we’ll just have to wait and see. The casting news was first reported by Collider.